British health officials are responding to a news program's report that accuses some hospitals of incinerating aborted and miscarried fetuses, in some cases as part of a system for heating the facilities. The TV news program Dispatches on Channel 4 in the U.K. reports that 10 National Health Service (NHS) hospital trusts have admitted burning the remains as "clinical waste" alongside trash, while two other facilities disposed of the remains in incinerators that generate power for heating, multiple British news organizations including the BBC and the Telegraph reported. Reports said that in the past two years alone, at least 15,500 fetal remains were incinerated by 27 NHS trusts. In some cases, mothers were told that the remains were cremated. Trusts provide health care services to patients and are part of Britain's government-operated health care system. About one in five pregnancies ends in miscarriage, according to the NHS. In addition, 2011 government statistics show 189,931 abortions were carried out in England and Wales. One hospital cited in the report, Ipswich Hospital in Suffolk, was said to have incinerated more than 1,100 fetal remains between 2011 and 2013 in a "waste to energy" plant operated by a private contractor. The remains were reportedly transferred there from another hospital. Ipswich Hospital Trust denied its involvement, and told the Telegraph it was concerned to discover that fetal remains from another hospital had been incinerated on its site. "The Ipswich Hospital NHS Trust does not incinerate fetal remains," said a spokesperson. 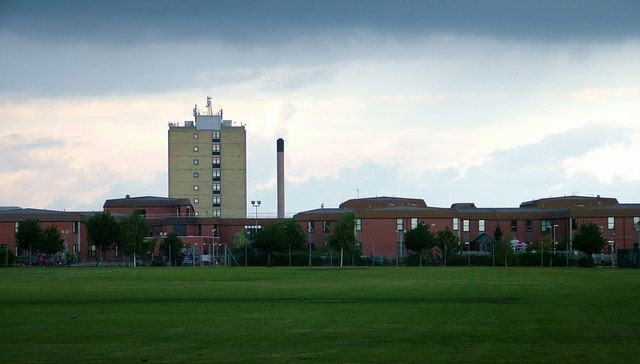 Addenbrooke Hospital in Cambridge was also cited for incinerating 797 fetuses at its "waste to energy" plant. Health minister Dr. Dan Poulter told the BBC the practice was "totally unacceptable." "That is why I have asked Professor Sir Bruce Keogh, NHS medical director, to write to all NHS hospital trusts, to make it clear that it must stop now," he said. The Human Tissue Authority, which regulates the removal, storage and use of human tissues in the U.K., also responded to the Channel 4 report. "We will act on this immediately. We already advise hospitals that incineration may not be appropriate for fetal remains, and will now go further in light of the information we have been given, and make our standards for hospitals clearer," Dr. Alan Clamp, Chief Executive of the Human Tissue Authority, said in a statement. He said he expects hospitals to have a clear and sensitive disposal policy which considers the needs of parents. Dame Sally Davies, chief medical officer of the NHS sent the Human Tissue Authority a letter drawing attention to the concerns, which authority chair Baroness Diana Warwick responded to and posted online. "We encourage anyone who is worried about the inappropriate handling of remains to contact us, the Care Quality Commission, or Department of Health," she said.